North American Indians began playing a form of lacrosse several centuries ago in preparation for battle. It was called "Baggataway" and games lasted up to several days. French missionaries to North America gave lacrosse its modern name, as the stick the Indians played with resembled a bishop's staff - "crosse" in French. The game, as it is played today, orginated around 1840. 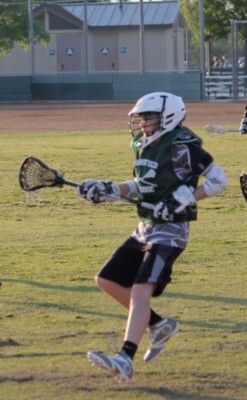 Lacrosse is played using netted sticks to carry, pass, and shoot a ball along a field in an effort to score goals. 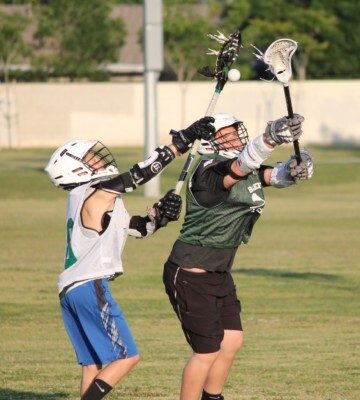 A goal counts as one point and is scored when the lacrosse ball completely crosses the opposing goal line between the posts and under the crossbar. 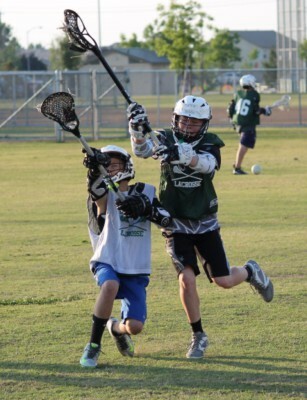 The length of a lacrosse game is four quarters, each quarter lasting from 10 to 15 minutes. A typical full-scale game features one goalie, three defenders, three “middies” or midfielders, and three offenders or attackers. Goalie: Responsible for stopping the ball from going into the net. Defenders: Responsible for defending against opposing players on the attack. Midfielders or “Middies”: Responsible for transitioning the ball for both offense and defense. Offenders or “Attackers”: Responsible for scoring goals, they spend games in the opponent’s half of the field. Offensive players must stay out of the crease area, a 9-ft semicircle that arcs from goalpost to goalpost. Attackers must rely on defenders to stop the opposition and the midfielders to field them the ball. A faceoff at the center circle starts each game and each quarter, and begins play after every goal scored. 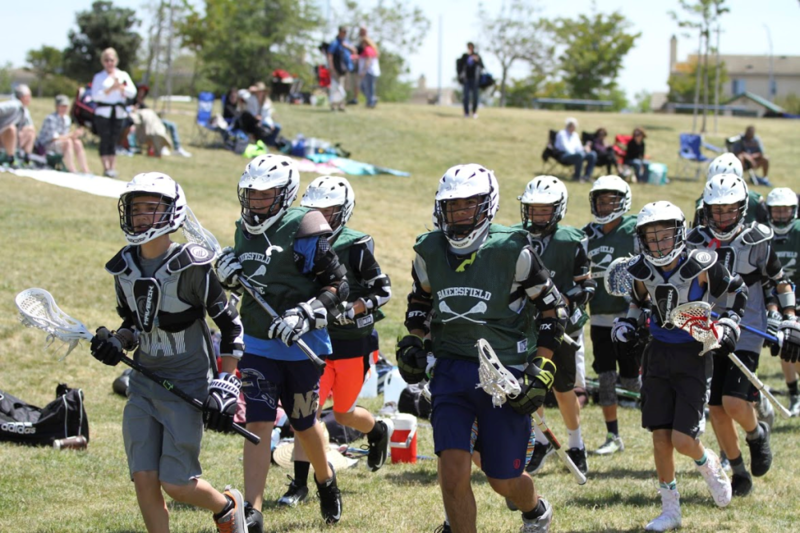 Field lacrosse defenders always stay in the opposition’s offensive zone, and the offensive players always stay in their own offensive zone. Only midfielders can run the entire field without restriction.